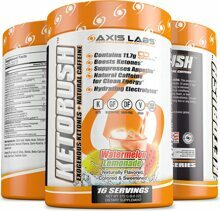 Axis Labs Ketorush - Contains 11.7g BhB, Boosts Ketones, Suppresses Appetite! Patented goBHB Salts, Electrolytes, and Energizing Ingredients for Your Ketogenic Lifestyle Ketorush contains pure goBHB beta-hydroxybutyrate (BHB) salts - bioavailable exogenous ketones that work to augment ketosis.† When you’re in a state of ketosis, a wide range of benefits occur, such as increased energy levels, enhanced blood sugar balance, boosted fat loss, reduced appetite, and much more. Just as importantly. Ketorush contains natural caffeine, electrolytes, and essential vitamins to help you get the most out of each and every serving. It also mixes easily, has no gritty texture, and comes in two delicious fruit flavors! BHB is the most potent ketone in terms of being oxidized for energy or being used directly by tissues. Therefore, consuming Ketorush provides your body with an immediate supply of BHB salts (exogenous ketones) to utilize. 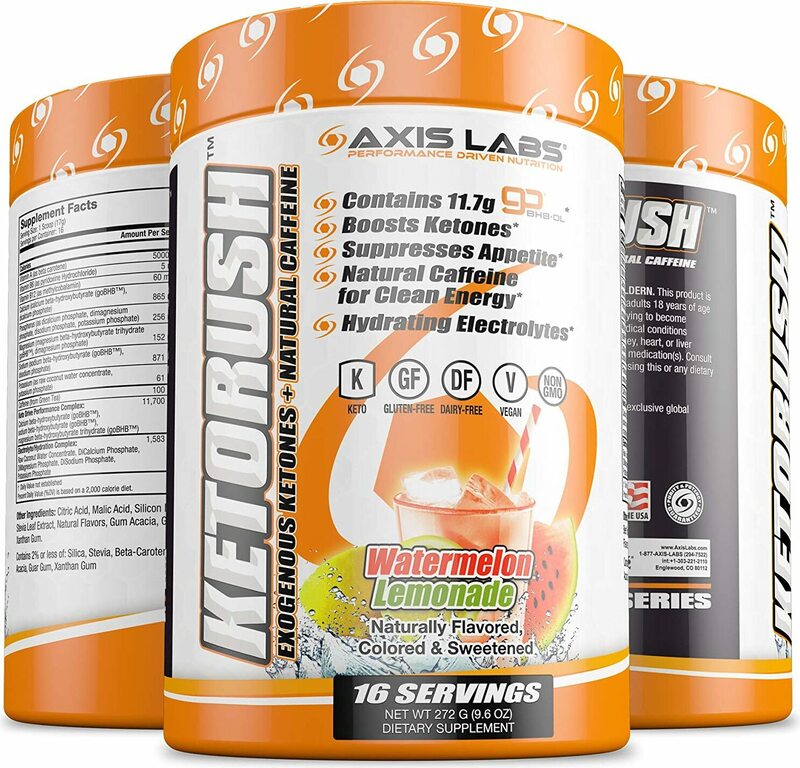 Each serving of Ketorush contains a research-based dose (11.7 grams) of pure goBHB exogenous ketones that work to rapidly and efficiently induce nutritional ketosis. A growing body of clinical and scientific research demonstrates the usefulness of exogenous ketones for reducing food cravings, increasing cognition, boosting energy, enhancing athletic performance, supporting blood sugar balance, and more. Rather than synthetically made caffeine, Ketorush contains natural caffeine from green tea. Caffeine is an indubitably effective performance enhancer, working through a variety of mechanisms to increase mental acuity, energy, power, motivation, and more. Furthermore, caffeine encourages the production of catecholamines, especially dopamine and adrenaline, thereby keeping focused, wakeful, and motivated. As such, Ketorush is a great supplement for dedicated gym-goers, fitness enthusiasts, students, and workaholics.